Pictured (l-r) having his brain activity monitored is Andrew Cairns, Ulster University PhD student with Dr Raymond Bond from the University’s Computer Science Research Institute and Hannah Torney from HeartSine. Ulster University has launched a state-of-the-art user experience lab that will help businesses explore how consumers can better interact with technology to increase the success of their products and services. World-leading researchers at the new Ulster University UX Lab can capture how people use and interact with everything from mobile apps and games to medical devices and retail interfaces. The UX Lab uses cutting-edge technology to track user's biometrics, including eye movement, brain signals, heart rate and facial expression to better understand user behaviour. The data is analysed by a team of internationally respected Ulster University experts in computing, engineering, psychology and design. The team works in partnership with companies to enhance product design and functionality of digital technologies and platforms with the aim of increasing user efficiency, productivity and satisfaction. Dr Raymond Bond from Ulster University's Computer Science Research Institute said: "The usability of a product is directly linked to its success. As technology is constantly evolving, it is vital that businesses create an intuitive user journey that boosts interaction and long-term adoption. "From small start-ups to large multi-nationals, Ulster University's UX lab is giving all companies across all sectors, direct access to world-leading expertise and advanced sensor technology that will ultimately enhance competitiveness in global markets." 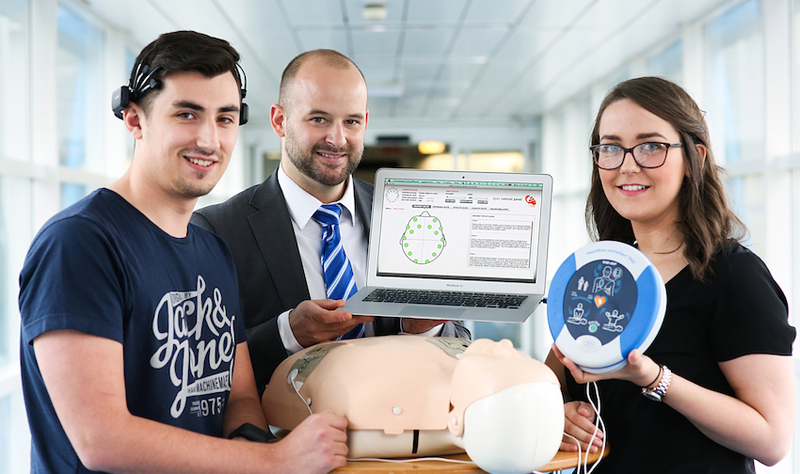 One company already benefiting from Ulster University's UX Lab is leading manufacturer of defibrillators, HeartSine Technologies. The company worked with the University to further develop the portable defibrillator to incorporate audio instructions. Dr Rebecca Di Maio, Clinical Research Manager at HeartSine Technologies said: "Usability is paramount in helping HeartSine continue to achieve its goal of offering simple to use portable defibrillator solutions. To ensure our defibrillators have a significant impact on post-cardiac arrest survival rates, we must make certain that any one, at any time can follow the instructions and use it effectively. 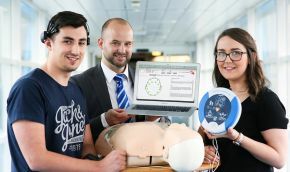 "Working with Ulster University's UX Lab, we will continue to make this goal a reality with future generations of HeartSine defibrillators using highly intuitive interfaces to enhance user experience whilst saving lives." Ulster University's UX Lab is funded by the Higher Education Innovation Fund (HEIF), which supports the collaboration between universities and industry for the economic and social benefit to the region.